“Speak up for those who can’t speak for themselves, for the rights of the destitute. Nancy L. Thompson Law Office, P.C. is a consumer protection lawyer in Iowa practicing in the areas of Chapter 7 bankruptcy and Chapter 13 bankruptcy, defending student loan borrowers in lawsuits brought by a National Collegiate Student Loan Trust, and representing consumers with debt collection lawsuits and credit report errors. Too much debt, whether from medical bills, credit cards or student loans, creates unwanted stress. If you’ve got a consumer or debt problem, contact us today! Committed to protecting consumer rights. In my thirty five years as an Iowa lawyer, I’ve represented single parents, wage earners, family farmers, small businesses and professionals through bankruptcy, defended against debt collection and helped consumers assert their rights. We can help you too. We advocate for the consumer. While many of our clients need to file Chapter 7 bankruptcy to get relief from debt or to file Chapter 13 bankruptcy to stop a foreclosure or cure a mortgage default, not all need to do so. Some clients instead need help suing debt collectors or creditors who violate fair debt collection laws or fair credit reporting laws. Some clients need help defending against debt collection from a debt buyer who can’t prove it owns a debt or is suing beyond the statute of limitations. Some clients need help defending against a National Collegiate Student Loan Trust (NCSLT) trying to collect student loans it claims it owns. Some clients need to bring a consumer fraud lawsuit against someone who has committed an unfair act or practice. Some clients need to deal with tax debt in a bankruptcy or offer in compromise. Some clients who have already filed bankruptcy need help enforcing the bankruptcy discharge. Banks and big businesses have plenty of people protecting their interests, but we take pride in protecting the rights of consumers. We advocate for you, the consumer, and we’re proud to say we always will. Life has thrown you some curve balls. Don’t wait, take action now. Two things are important to remember. First, most of us have too much debt not because of something we did wrong but because of all the curve balls we’re thrown in life. Family illness, divorce, loss of employment or a cut in wages aren’t things we ask for. But we can take action to get out of debt. And that’s the second thing to remember – don’t wait too long to deal with debt. Many people wait to call me until after a judgment has been entered so their wages or bank accounts are being garnished. Or they wait until a sheriff’s sale has been scheduled in a foreclosure. Or they wait until their retirement accounts have been depleted, jeopardizing their future and that of their children. Or they wait until they’ve spent thousands of dollars on debt settlement programs that are really just scams. Don’t wait. Start dealing with the problems now by contacting us about your debt or consumer rights issue. 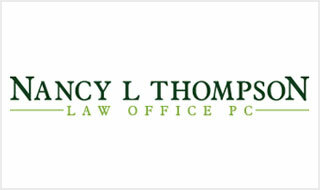 Nancy L. Thompson Law Office, P.C. is located in the historic Saddlery Building on Court Avenue in downtown Des Moines. Off street garage and meter parking are available. We’re also accessible via the downtown Des Moines skywalk. 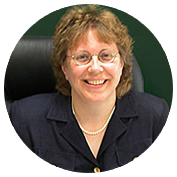 Nancy has over thirty years of law experience helping consumers, small businesses with their debt problems. She received her Bachelor’s Degree in Political Science from Iowa State University and her J.D., with honors, from the University of Iowa College of Law. She is a member of the Iowa State Bar Association, the National Association of Consumer Bankruptcy Attorneys and the National Association of Consumer Advocates. Using data from the Federal Trade Commission (FTC), the National Consumer Law Center (NCLC) has compiled an analysis of the complaints made by Iowans … Read more. One of the best places to get good information about debt collection and other consumer issues is the website of the National Consumer Law Center. … Read more. With $1.5 billion in student loan debt, many observers believe the economy would get a boost if at least some of that debt could be discharged in … Read more.